In this post, I’m going to share my top secret cryptocurrency list! 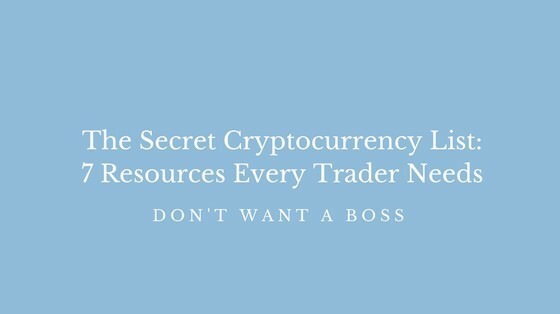 Basically, it’s 7 resources that every cryptocurrency trader needs to have to be able to keep up with the crazy world of crypto in 2018 and beyond. The very first resource that I recommend is having a good place to buy and sell your crypto with respect to FIAT (FIAT is whatever your local currency is although usually it’s in referrence to USD). You need something that’s fast, easily accessible and that you actually know how to use quickly and efficiently. It can be a little bit annoying with Coinbase because there are automatically calculated limitations on how much you can put in but it’s by far the easiest and fastest of the 3. If I want to buy or sell Bitcoin right this second, I can literally go into Coinbase and either take money from or deposit money to my checking account in seconds. You don’t have to use one of these 3 if you find something better, I just haven’t been able to. But whatever you decide, just make sure you have something thats fast, easy and you know how to use it. You can just Google search “Bitcoin to FIAT exchange” or “Bitcoin to AUD exchange” replacing FIAT with your local currency. If you have certain requirements that you want to meet or if you have a financial adviser, you may be asking them what kind of platform they think would be the best and/or safest. So my personal recommendations are above based on my experience – I’ve used all 3 of them. Coinbase is my favourite other than it’s automatic limits. Canadian Bitcoin is my second favourite because it’s more expensive but you can’t withdraw with Coinbase in Canada. Last is Quadriga because they offer lots of options but it’s quite a bit slower and more annoying that the other ones. Now that you have your exchange set up where you can buy and sell Bitcoin (or other currencies) in exchange for FIAT, number two is having a place where you trade most of your coins. 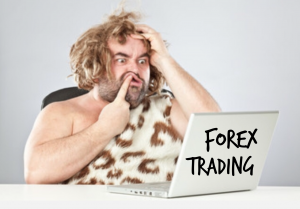 This is where you are going to be trading on a day to day basis. You need to have one major exchange that you go to rather than functioning on three or four different exchanges all the time. Of course, I might use another exchange just a newer coin I can’t find anywhere else every once in a while but if my major exchange has the coin, I will always try to use that one first. The reason why this is so important is because you can get lost and confused and annoyed with how many exchanges there are out there. It’s best to have 1 main one and then only the coins you can’t find on there do you go to other exchanges for to buy. My major exchange is also the only exchange that I’ll keep any real amount of crypto on or at least I try my best to keep it that way. Most of my crypto I actually keep in an offline wallet because it’s just so much safer that way. I only keep on the exchanges what I’m trading at the time. 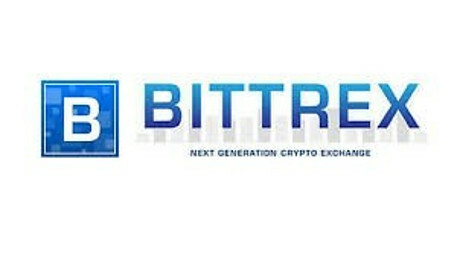 Personally, I recommend Bittrex – I love Bittrex. It has never given me any issues, it keeps a great history of all of your transactions, deposits and withdrawls and it will export them into a nice spreadsheet for you. You can also easily integrate it with tax software, which I’m going to be talking about later on in this post. It also has a TON of coins and almost all of the main ones. Unfortunately, you can’t deposit in or withdraw in FIAT (unless you’re using upwards of 100k I believe might be the excpetion although I haven’t tested this out) but this does make it super easy to validate your account. You need to make sure is that you have a good way of doing your taxes with cryptocurrency that isn’t going to make you want to rip your hair out. The reason why like it is because it’s compatible with a ton of different exchanges, namely Bittrex and you can import all of your transactions. Then it will automatically generate a tax report for you and you don’t need to do anything else! It’s actually a little miracle, in my opinion. So, that is how I do my taxes. Other than importing transactions from exchanges, I’ll also make sure that I have a spreadsheet with all of my holdings off the exchanges (like in Trezor) and I’ll give that to my accountant as well as my exchange reports. That way, she has a complete account of all of my transactions and holdings. 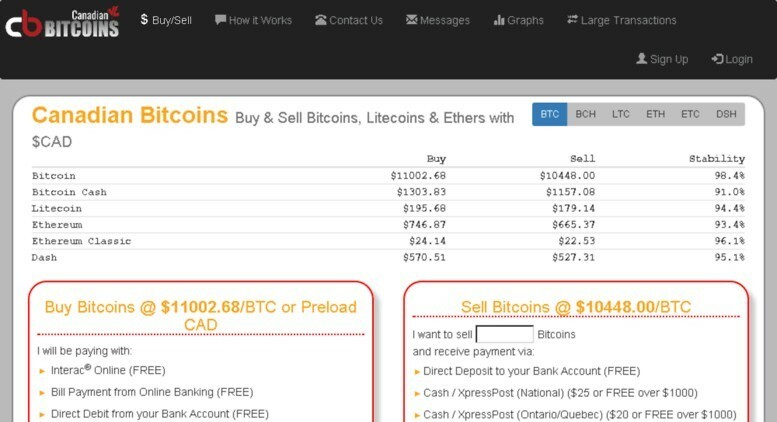 A little trick (I’m using Bitcoin in this example but you can translate this to whatever base currency you’re using) you can ask your accountant to do is always use the lowest price point Bitcoin was at in a day for any buy transaction (buying any coin with Bitcoin) and use the highest price point Bitcoin was at in a day for any sell transaction (selling any coin for Bitcoin). That way you’re making it look like you’re making the least amount of profit that was possible for that day and you can pay less in taxes. Just to make it clear, I would very highly recommend you get an account familiar with cryptocurrency to go through this with you. Those were the top 3 major resources. From here on out, we’re talking about stuff that really helps but isn’t essential to be able to trade. To keep your assets safe if you’re trading over $5000, I would highly recommend getting a hardware wallet. My personal favorite is Trezor but there’s other options like Nano Ledger and couple of other ones that are apparently also very good. I’m pretty sure Trezor is the most expensive or one of the most expensive options but I love it because it’s super secure and has so much space. I also like the interface, the way it works and the fact that it interfaces with MyEtherWallet. My biggest complaint is that it doesn’t currently support Ripple but hopefully they will add that soon! Number five goes into the informational part of trading. From one to four we covered neccessities and accessories to make trades – or the how to trade part. Now, we’re going to get into the what to trade part. What do you need to keep yourself informed and make sure you know the latest stuff that’s going on and crypto currency? What resources do you need to find the coins that you want to trade and when to trade them? I consistently listen to the Bad Crypto Podcast and I find that it’s the best free resource to keep you up to date with what’s going on in the Crypto world. Some people do complain that there’s a lot of “low yeild” or superfuous information since it’s meant to partially be an entertainment podcast as well but if you enjoy that, then you’ll love it. The podcast was started last summer, so summer 2017, by Joel and Travis just before the massive crypto boom. They decided to start this because they were really intrigued by cryptocurrency and they thought it would be fun to start a podcast together to have their conversations on air. I like them because they’re not assuming, they don’t act like gurus who know everything because let’s be honest, no one knows everything about crypto. It’s such a new space. No one knows what’s going to happen. They also have the best of speakers, like CEOs of new ICOs and speakers from conferences. My favourite resource from there is actually their ICO spotlights. They basically hand pick ICOs that they’ve done the due diligence on so that even though I would not recommend to just blindly buy these ICOs just because they recommend them, it’s nice to have a list to do your own research on rather than starting with the 1000s out there and not knowing where to start. So I personally will go to their show and will look up ICO spotlights and then those are the ICOs that I will do my own research on. I won’t look anywhere outside of the ones that they’ve already picked unless I get it from one of my other paid resources because why do work twice? To be 100% honest I haven’t spent too much time with this app yet and I will revise this list and remove this recommendation if I find it doesn’t do what it’s promised. What it claims is to be a selection of all the current and upcoming ICOs that you can invest in and be a part of. You can also rate the ICOs based on your own due dilligence and experience with them. Remember, they are still very new so the selection is a little bit low still, which is why I haven’t had the chance to really try them out. But just download the app – it’s free – and let me know what you think! This is one of my most highly recommended over all resources. The reason why I’m putting it 7th though is because it does cost quite a bit of money and on this website I cover or will cover probably about 20-30% of what’s already in this resource for absolutely no money for free. 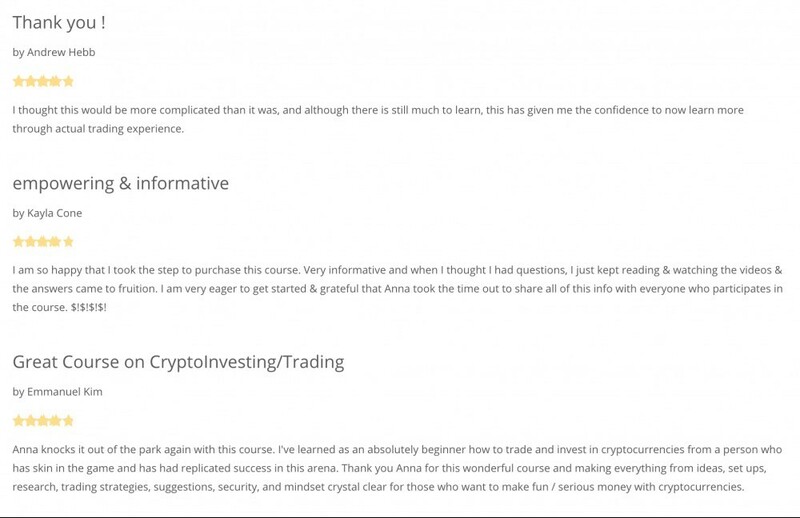 I recommend the course because there is live trading videos, setup strategies for all of the legitimate exchanges out there, an exact strategy of how to make $100 per day every single day, how to turn $500 into 1 million dollars in a specific amount of trades, etc. The most valuable resource of this course is the fact that you’ll be added to a secret Facebook community and an email list where you will get live alerts on EXACTLY what you should be buying and what you should be selling and what you should be holding both short term and long term. It’s a very small, but very engaged community. I’ve been part of many Facebook groups where it’s supposed to be very engaged but it’s just not true. I love the Bad Crypto Podcast for instance, but I don’t think the Facebook group is very engaged, there’s a lot of spam and you won’t get much help from there. From this Facebook group; however, you will get a TON of help. It’s also really nice that the organizer of the course is really active on that Facebook group and will personally answer a lot of your questions or convens. I’ll also be in there of course, and I will be happy to answer your questions too. We will do this thing together – on this crazy crypto journey! The only person that I kinda trust to tell you what’s going on in crypto is Ronnie Moas and even he doesn’t know for 100% certain what’s going to happen. He has like 30 years of experience in investing so if I was going to trust any one, it would be him. By the way says that bitcoin is going up to 100k so just keep that in mind. Wow, there is so much to think about with crypto. I know there is so much news and crypto is seemingly everywhere these days. One thing that really stood out to me is the tax software you mentioned. I think that is a great idea to track all of your activity. Crypto is uncharted territory for me and something I have been really looking into. I want to diversify my portfolio and would like to have some exposure to crypto. I love your 7 resources, this has been very helpful. I do have one question, you said that Coinbase will take money from your checking account. Will they accept credit cards or is that not available? Thanks again for sharing your insight, I appreciate it. Hi Steve, No problem! For Coinbase, it depends on your location. It won’t if you’re outside the US – you have to use a checking account in that case. If you’re in the US, there’s some credit cards that it won’t accept. I would suggest just going ahead and creating an account to try it out. It’s 100% free. What do you think about the trend right know? It is still worth to invest in Bitcoin for example? I feel like It can be made some investments for the very long term. Like 10 years minimum. It will takes a lot of time before actual currencies will be switched for cryptocurrencies, in my opinion. These are great resources for traders. I think the success when you are a trader comes when you are fully informed about what you are trading and keep up to date with the news and information on your instrument. I personally like to trade forex, but the same idea applies to cryptocurrency. 100% agreed – you have to keep up to date and on top of things. Personally I also just really advocate for keeping a cool head especially in crypto and actually forex too as you can leverage a ton there. If you stay calm and don’t let your emotions get the best of you, everything always ends so much better! Thank you for the tips and tricks on cyrptocurrency. I have been wanting to invest in this market, but I had no idea what metrics would be vital or how to access those statistics. 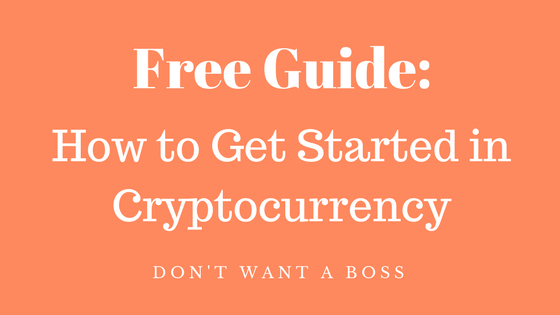 I will be signing up for your free guide, to help myself understand more about the dynamics of this market. Thanks for an great resource list! I wasn’t aware of many of these tools. For example I’m using CoinBase, even though I’m in Europe. I wasn’t aware of Quadriga or Bittrex or any of the other resources you list. It’s definitely gonna be in my favorites list! Do you have any resources for mining cryptocurrencies? Thanks again for this great resources list!